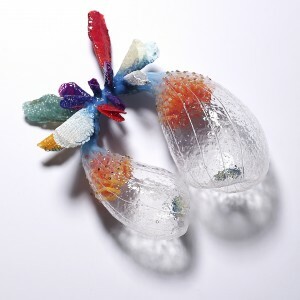 Kwon’s sculptural forms are fabricated from silicone, thread, pigment and paper. 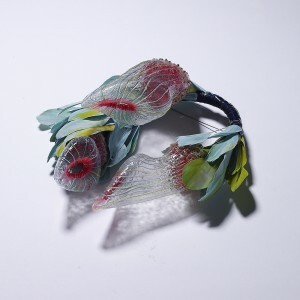 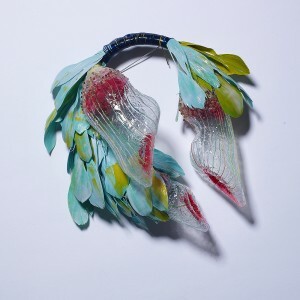 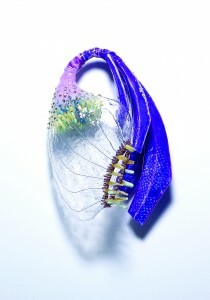 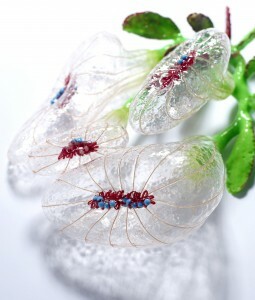 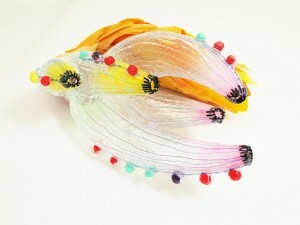 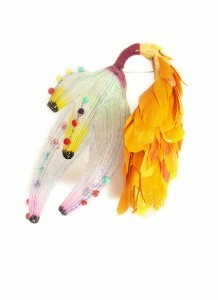 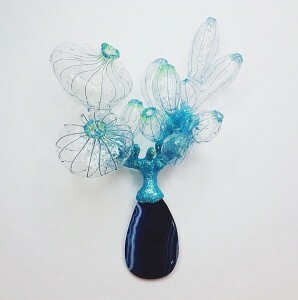 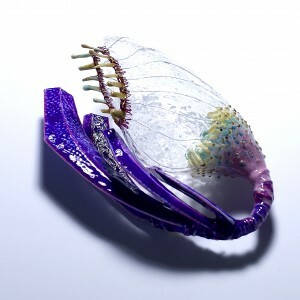 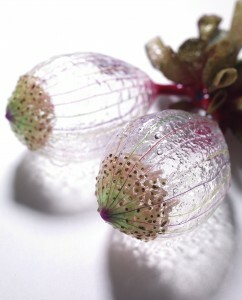 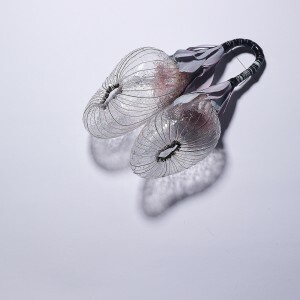 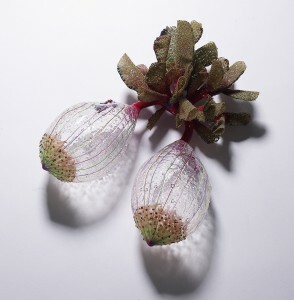 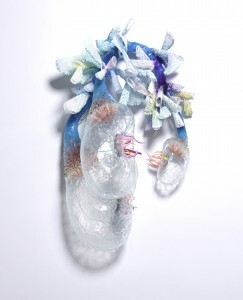 The end result features the lightness of intricately colored and patterned silicone capturing the translucency of glass. 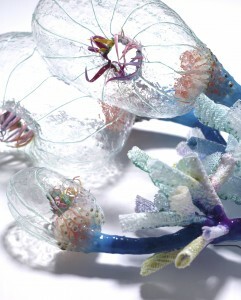 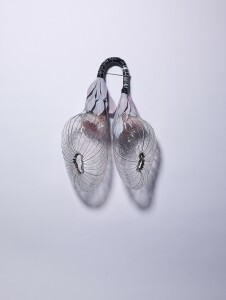 Her innovative techniques and talents have been recognized with numerous awards and prizes including the prestigious BKV Prize, Munich, Germany; Cominelli Foundation Award, Fondazione Cominelli, Italy; Excellent Achievement of MFA, Kookmin University, Seoul, South Korea; International Craft Exhibition ITAMI Prize, Hyogo, Japan; Talente Award, Kunstoff Prize, Munich, Germany; Graduate Metal XI, Adelaide, Ausstralia; and The Art Jewelry Forum Award, United States.